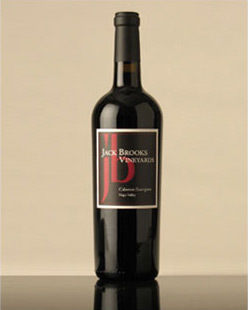 The 2015 Jack Brooks Vineyard Cabernet Sauvignon beautifully captures the nuances of the terroir of the Calistoga AVA. The wine is rich ruby red in color in the glass, followed by aromatics of deep dark fruits, black currant along with notes of dark plum and hints of vanilla. The mouthfeel is lush and velvety, with flavors of dark cherry, raspberry, mocha and a whisper of fresh-cracked pepper. Flavorful, with well-balanced tannins beautifully woven into the wine, it’s a delight to drink now and also a good candidate for long term cellar aging. A perfect complement to a juicy prime rib, yet elegant in style to pair nicely with lighter cuisines.